With a Certi-Pur certification and a tagline like "the mattress that breathes," it’s no surprise that this brand has an 89% 5-star rating on Amazon. It avoids memory foam’s common heat-retaining problem by incorporating airflow channels connected to thousands of small surface holes. And thanks to Flex-Support Technology, it feel more like a traditional mattress—making it easier to move around on than some mattress-in-a-box products. You can even test it out for a four-month trial period, and can request customized alterations in firmness, springiness, and overall comfort. This streamlined, budget-friendly version of the original Casper mattress has three layers of Certi-Pur-certified materials: breathable and soft cushioning on top, a middle layer of memory foam to support pressure points, and a base layer to add durability. We also love the charcoal-colored, zip-off cover made with upholstery-grade fabric, which is designed for years of use (and hiding the occasional spill or stain). More than 3,000 positive Amazon reviews can’t be wrong! 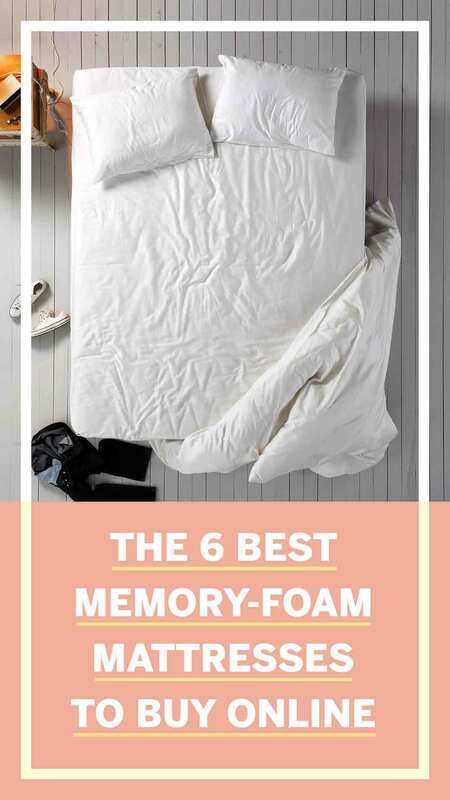 This super-affordable mattress combines a top layer of memory foam with a base of durable springs, providing both the bounce of a traditional mattress and the curve-hugging comfort of foam models. Like the others listed here, this mattress will work with a variety of bases, including box springs, slatted or gridded platforms, or mechanical/adjustable bedframes.